Moroccan Minister of Interior, Al Mustafa Sahel, said on Tuesday that Morocco has made great efforts to fight illegal immigration, using its own means without foreign assistance. He also urged Algeria to control its borders. During a meeting with representatives of national and foreign media, Al Mustafa Sahel said that illegal migrants hailing from the eastern borders with Algeria are the main problem, not only for Morocco but also for Spain. “The European Union is called upon to support Morocco's efforts in fighting illegal migration. It also needs to help the involved African countries fight this phenomenon,” said Sahel. “It is unacceptable and irrational that pressure should be imposed on Morocco alone to fight this phenomenon, while none has been exerted on the neighbouring countries,” he added. 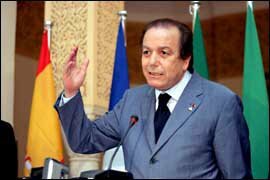 Sahel has urged Algeria to be responsible since it is the main gateway for illegal migration towards Morocco and then to the European Union. Sahel presented the media with the government's comprehensive strategy to fight this phenomenon. This included strengthening laws against mafia of human beings trafficking and elaborating laws regulating the presence of foreigners in Morocco. The Interior Minister underlined that the rate of illegal migrants arrested in 2004 dropped by 25%. However, in 2005, migration towards Andalusia province has increased by 40% and Canary Isles, 50%. Moroccan authorities have also dismantled 400 mafia networks of human beings trafficking.